Recently I’ve been to Prague in Czech Republic. Yet, there was one thing I really disliked: my inability to communicate verbally with Czech people. My level of Czech language = 0. Literally! Although I picked up some Czech words whilst I was there, on my first day I couldn’t even say “hello”. My (lazy) theory was that, since I had Czech friends who spoke English too, I wouldn’t need to speak any Czech at all. Also, most Czech people speak good English too. Plus, I am Italian, I can communicate with gestures, right? Wrong (and weird, as far as the gesture part is concerned!)! The truth is that I talk a lot and I love getting to know people from other countries. Speaking a bit of Czech would’ve been a massive advantage to get to know the Czechs more intimately (despite their reserved personality) and see a bit more eye to eye with them. With hindsight, I wish I had learned some basic Czech before going there! 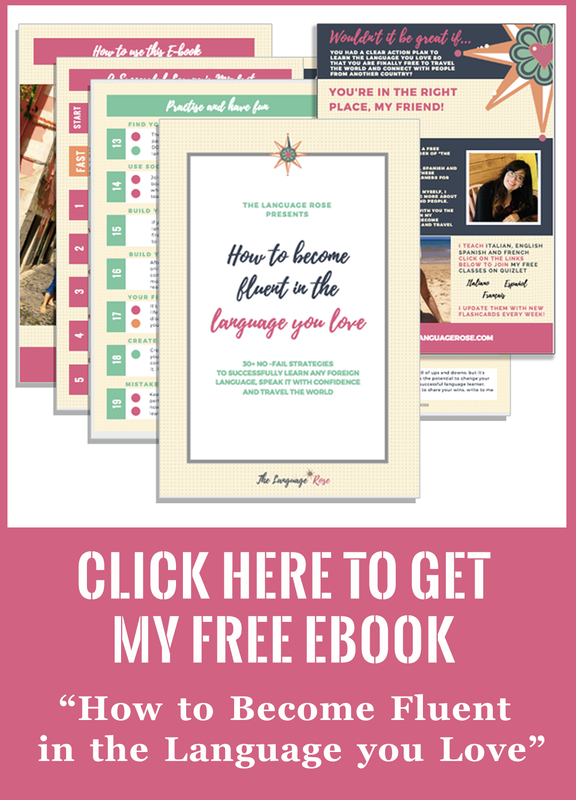 At least, how to say properly “hello”, “good morning” “good evening”… these are the very first words in a foreign language that open a door in someone’s heart and allow you into their world. The bottom line is: if you are going to Italy this summer, I don’t want you to make my same mistake when I visited Czech Republic. You must know at least how to say “Hi!” in Italian – and it’s not just “ciao!”. You know this one already, don’t you? Yet, this is one of the most mispronounced words in the Italian language by many learners. Listen to the pronunciation by clicking on the word or here: you can notice that the “i” is silent. In the morning, we use “buon giorno” which literally means “good day”. “Buon giorno” can be used both in formal and informal contexts throughout the whole day (including the early afternoon). There is also a shorter and informal version of this word, which is “‘giorno” but I am a firm supporter of the longer version, because it’s much better to wish people a GOOD morning, as also Pavarotti sings! “Buona sera” means “good evening”. Although when using “buona sera” may seem pretty obvious, it’s also a matter of feeling for Italians. Yes, it’s used in the evening but it may also be used it in the afternoon, especially slightly before the dusk…you may be wondering: don’t you guys have a word for “good afternoon”? Yes, we do, it’s “buon pomeriggio“. However, it’s becoming increasingly less popular to use “buon pomeriggio” in spoken Italian as it’s perceived as a fairly formal greeting. “Salve” , which means “hello”, can be use it whenever you want. Although “salve” is in theory a formal greeting, it’s currently used in both formal and informal situations. It’ll be your life saver if you aren’t sure which one of the previous greetings you need to use. “Arrivederci” means “goodbye”. 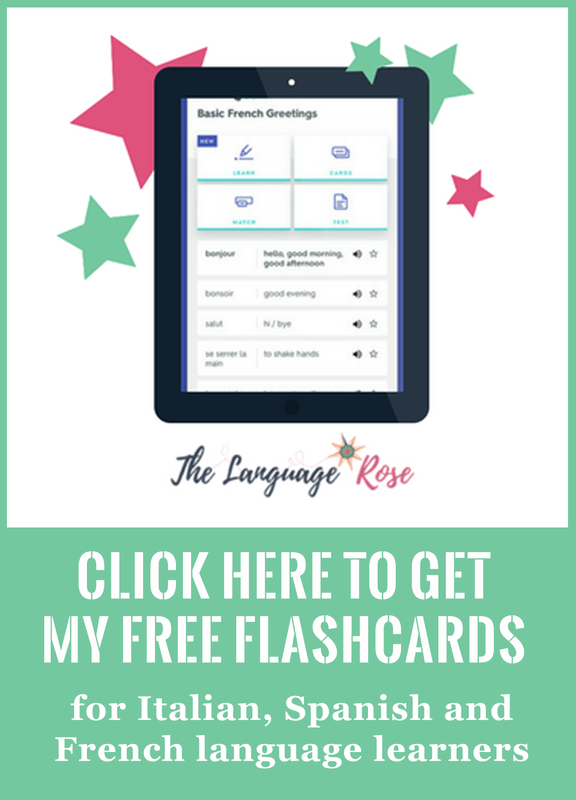 It’s pretty formal, very used and maybe a bit challenging to pronounce (get some practice with all these greetings at The Language Rose Italian Class on Quizlet! You can join here!) but, in case you don’t remember it, you can always use “ciao” to say “bye”. So, here they are, 5 common phrases that will help you to break the ice once you’re in Italy. Wanna learn more Italian? I’ll be happy to help! And now it’s language practice time! 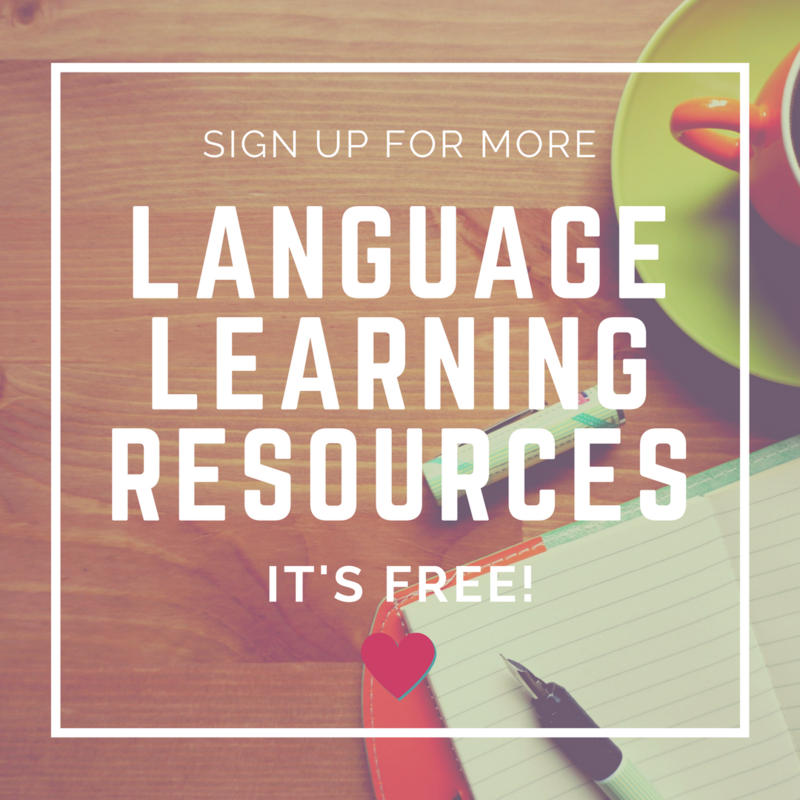 Come on over to practice these phrases at The Language Rose Italian Class on Quizlet. You’ll be able to listen to their pronunciation and memorise them before your next trip to Italy. Grab here the flashcards set featuring all these greetings (including their pronunciation)! A presto (see you soon)!